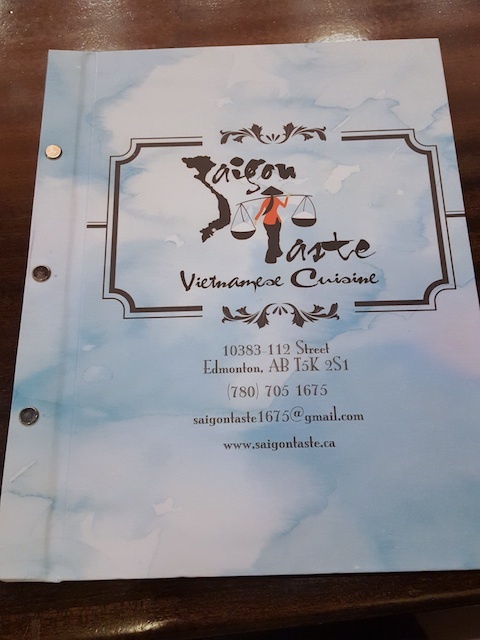 Saigon Taste, a Vietnamese restaurant located just across from Oliver Square, contacted me last week to try them out as they have recently changed management. My meal was complimentary, but I aim to remain objective in my review. 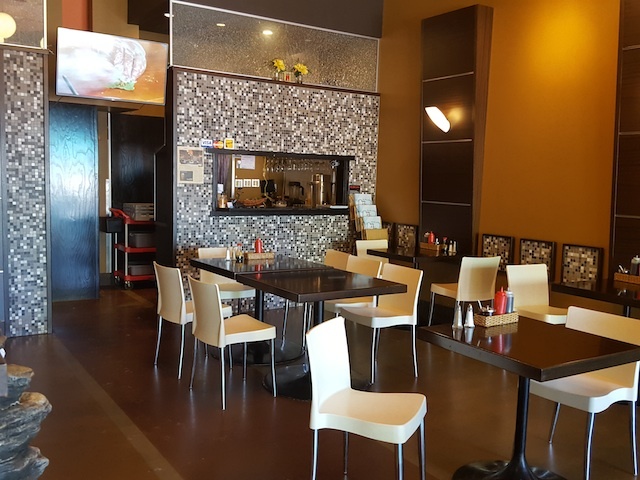 If you would like to give Saigon Taste a try yourself, you can receive a 10% discount until the end of November if you show them you follow me on Instagram! The place was clean and well maintained, and the menu was one of the nicest I've seen at a Vietnamese restaurant, complete with colourful pictures and interesting blurbs. I ordered the house special beef noodle soup ($11.95) which came with a variety of toppings including medium rare beef, beef brisket, and beef balls. The broth, simmered for over 8 hours, was one of the best I've tasted — clear and light with a fragrant savouriness that made it rich in flavour and satisfying. There was a page in the menu that advised customers on how to add basil in the broth to maximize the aroma. One tip was to add the basil in small pieces instead of putting the whole leaf in. This actually made a difference and enhanced the flavour of the broth even more. 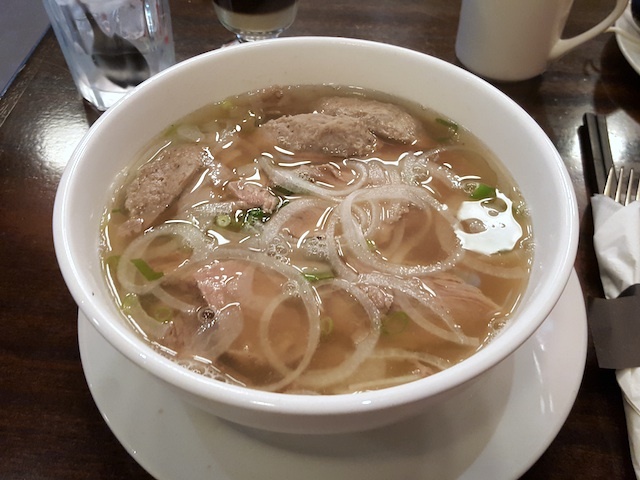 I'm one of those people who don't drink the soup when I eat pho, but I definitely made an exception this time. 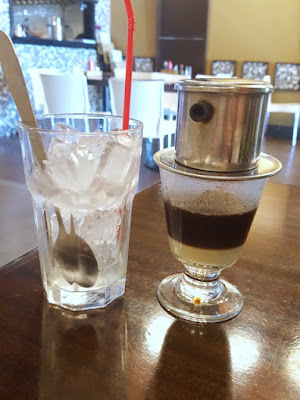 I was also pleasantly surprised by the intense flavour of the Vietnamese coffee ($2.95 during lunch). 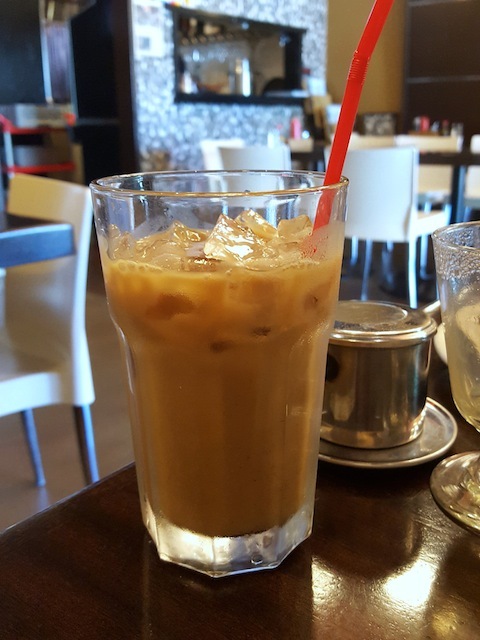 Strong coffee and condensed milk over ice made for a refreshing summer drink. It actually tasted like a Werther's coffee candy in creamy liquid form. So delicious! 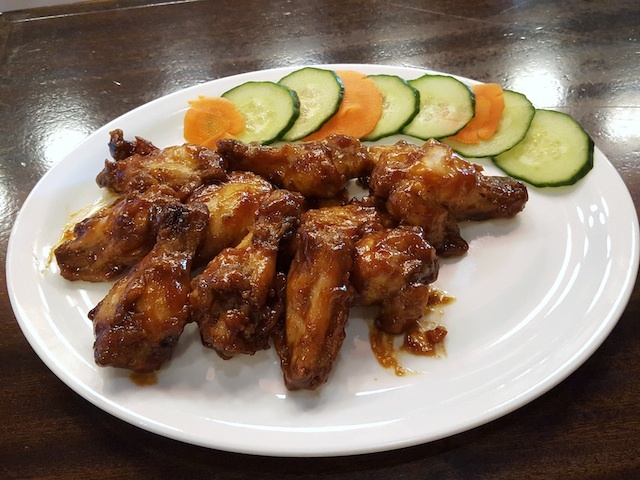 I wanted to try the honey garlic wings, but they were sold out, so I opted for barbeque wings ($8.95) instead. The chicken was tender, but I found the sauce a bit too salty and overpowering. Basically these were no different than barbeque wings at any other establishment. In fact, I think this is on par with homemade wings with a bottle of barbeque sauce from the supermarket. I wouldn't order this again, but I have a feeling the honey garlic might be better.